The flying car (Photo 1) is now in production and, if there are nodelays, the first units will be in customer hands by the end of this year. You will need two licenses to fully operate this vehicle: a regular driver’s license to operate it on streets and highways (Photo 2) and a sport pilot’s license to fly it as an airplane. The folks at the National Highway Traffic and Safety Administration (NHTSA) feel that a redesigned airplane black box could supply extremely valuable data after a car crash. So they have mandated that starting in 2013, new vehicles sold in the U.S. will have an enhanced event data recorder (EDR) that can monitor a car and driver’s actions that cause an accident. driver impairment, bad weather, or an act of nature that was beyond human control. Flight data recorders and cockpit voice recorders are located in the tail section of all large commercial and some smaller commercial aircraft. They are placed in the tail because it is the part of an airplane that is usually least damaged if an airplane crashes. 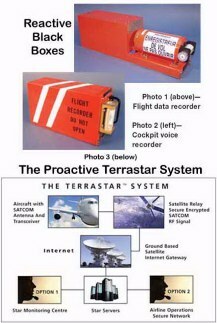 TheTerrastar in-flight monitoring system uses proactive black boxes that transmit the data that it collects during the actual airplane flight. Company leaders feel that their system can pick up flight anomalies and provide the information to the flight crew and ground crew while the plane is flying long before a catastrophic problem causes an airplane to crash. After watching the video, my initial impression was that the two technologies it shows were interesting and might be environmentally friendly. When 1 Googled "Blogosphere Air Car," I found so many people with so many opinions that I concluded that the topic is the perfect opener to a good classroom discussion on the future of the automobile. The drive-by-wire concept calls for the transfer of the control of a vehicle from the driver to an automated system that controls the vehicle’s steering, engine throttle, and brakes. Today’s automotive engineers are now taking an incremental approach to turn new car safety technologies, over time, into an autonomous vehicle navigation drive-by-wire system. How close are we now to the dream? Wind tunnels vary in size and the amount of wind velocity they can generate. The most powerful one at NASA can actually produce Mach 3.5 supersonic wind speeds. A wind tunnel’s wind velocity and size has a lot to do with what it is designed to test. The newest type of wind tunnel combines wind velocity with a rolling road bed. (See Photo 1.) This new dynamic design allows for wind tunnel testing of a motor vehicle’s aerodynamic shape, while at the same time examining the interaction of the separate wind currents created by the vehicle’s rolling tires. The Tesla Roadster is 100 percent electric and still capable of going from 0 to 60 miles per hour in 3.9 seconds. However, the early production vehicles will have a transmission that will limit their 0 to 60 acceleration to 5.7 seconds. Tesla Motors is building the car from the ground up with an all-aluminum chassis and 100 percent carbon fiber body panels. of Technology (MIT) will soon produce an astronaut fashion makeover that will let modern astronauts do their thing in a spacesuit as fashionable as any ever worn by a movie star. The new MIT BioSuit wraps very tight layers of material around the human body to create a physical and flexible counter-pressure suit that protects the astronaut from the vacuum of space. 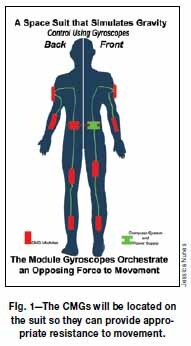 If the new suit receives a small puncture, astronauts can temporarily repair it, on the spot, using a special bandaging tourniquet-style repair. The photo on this month's cover shows DepthX exploring our planet's deepest flooded sink hole, the 1,099-foot-deep Zacaton Cenote, located near Tamaulipas, Mexico. The dives that the robot makes are all critical tests of the autonomous systems that give it the ability to operate without any human intervention. 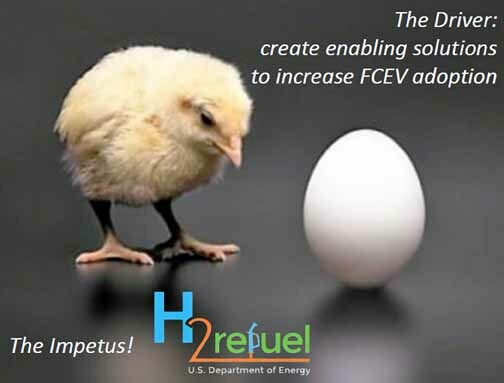 The fuel cell vehicle has long been viewed as the Holy Grail in automobile research. 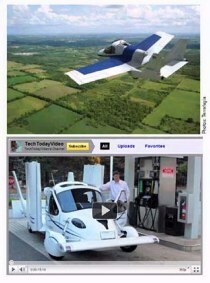 These cars would be powered by the chemical reaction of hydrogen and air. They wouldn’t produce any of the environmentally dangerous bi-products produced by today’s fossil-fueled vehicles. Only clean water vapor would spew from their tailpipes. My January column focused on fuel cell vehicles as the ultimate hybrid for the 21st century and beyond. But hydrogen powered vehicles can only usher in a future hydrogen economy if roadside hydrogen refilling stations become as plentiful as your neighborhood gas station. This column will look at the production and future distribution of hydrogen. 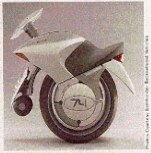 The one-wheeled motorcycle that is shown recently won the 2003 prestigious Gold Award from the Industrial Design Society of America & Business Week Magazine. 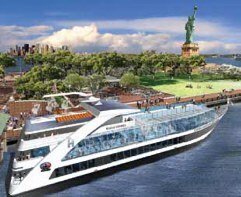 This ship is capable of going down a river to load its cargo at a shallow inland port. Once loaded and back in deep water, the ship transforms itself into its ocean configuration to deliver its cargo to deep or shallow ports that are oceans apart. Is a transportation vehicle that has the fuel efficiency and carrying capacity of a ship coupled with the speed and maneuverability of an airplane. It has 10 huge jet engines, a three hundred foot fuselage, and a 120-foot wingspan. Can you imagine an airplane that has the length and width of a football field? Since the invention of the jet engine, the holy grail of aviation has been to build an aircraft that can fly passengers faster than a speeding bullet. 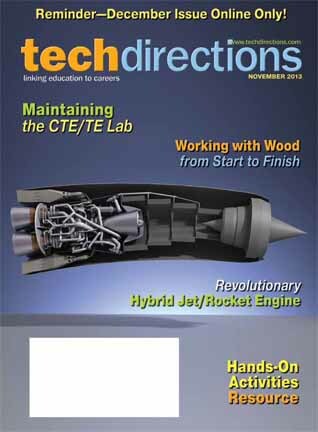 On dateYear2004Day27Month3March 27, 2004, NASA proved that scramjet powered hypersonic flight is possible. You can purchase a robot to clean your pool, mow your lawn, vacuum your home, or even serve as your family pet. 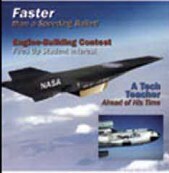 In 1997 the Thrust SSC jet car set a new world land speed record in the placePlaceNameNevada PlaceTypeDesert when it traveled faster than the speed of sound. This jet car actually attained Mach 1.020 on a run that averaged 763.035 miles per hour. "Speed up for the 21st Century -Maglev"
The Japanese Railway Technical Research Institute's Maglev vehicles (illustration) are designed to travel in a U shaped guideway with no physical contact with the guideway walls. The Yamato 1 was the world's first (publicly announced) superconduction electromagneto-hydrodynamic propulsion ship. 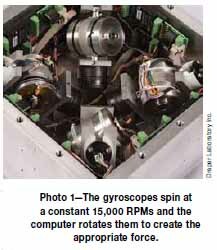 One of the most significant advantages of this drive system is the fact that it contains no moving parts. The truth is that 90 percent of our American money supply already exists in a digital form. Every business day two trillion dollars moves between banks and other financial institutions as electronic currency. When modern cars collide they are designed to absorb energy to protect the people inside the vehicle. Car Experts now believe that new car to car communication systems can be designed to keep vehicles from crashing into each other. 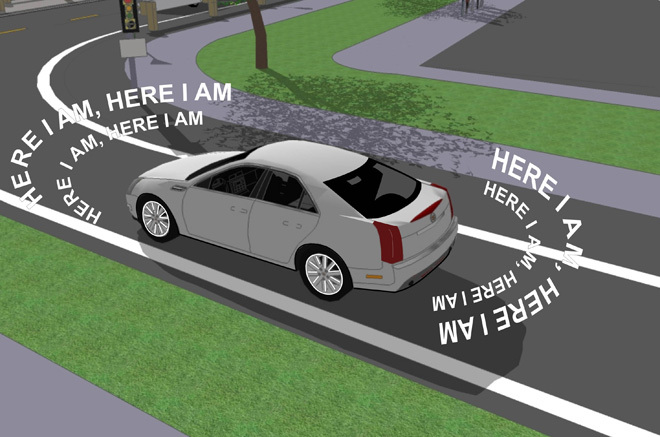 If each car could tell every other car, “here I am,” a new accident avoidance systems could reduce car crashes, bodily injury, passenger deaths, and car insurance damage claims. The U.S. Department of Transportation (DOT) is now funding a major test to determine if accidents and driving times could be reduced if cars talked to each other. 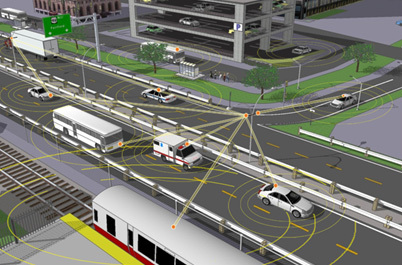 Data collection and evaluation will be performed by the University of Michigan’s Transportation Research Institute. The future automobile will run on electricity not gasoline! 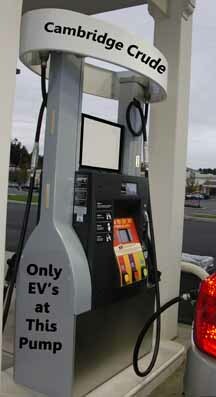 This could quickly happen if you could pull up with your EV to a "gas" pump to recharge your car with a liquid electric fuel. Cambridge Crude, the nickname of a new Massachusetts Institute of Technology (MIT) liquid battery recharging system will let you do just that. This new liquid charge goes in as the old one goes out for re-charging by the fueling station; to be used over and over again. 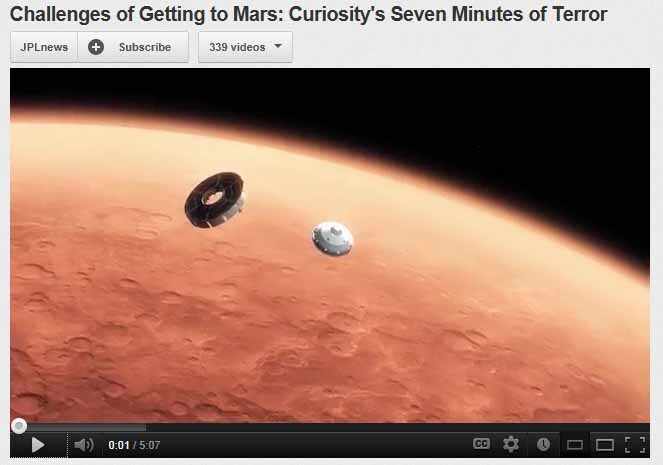 distance between planets, NASA Mission Control didn’t even know if the landing worked until Curiosity had been on the ground for seven minutes. The computer controlled landing depended on a computer program that contained half a million lines of code. Why and how this landing succeeded is covered in this column. 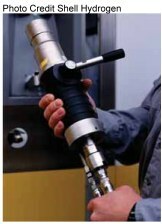 Goodyear engineers have found a way to place an air pump, air gauge, and automatic air valve into truck and car tires. 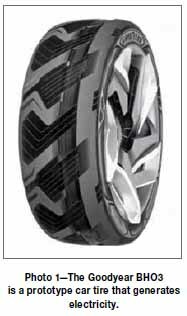 As you drive, these tires check their air pressure and active their internal pump to add air if the tire is low. This entire system runs on the electrcity generated by the turning of the tire as your car or truck is in motion. 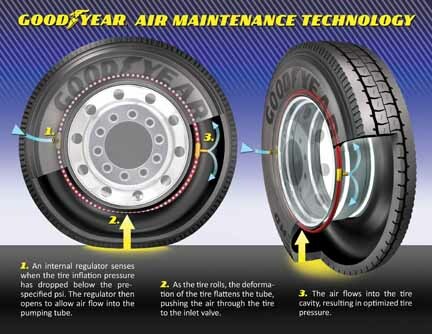 Goodyear calls the new self-regulating system Air Maintenance Technology (AMT). The modern elevator story began in 1852 with Elisha Otis’s invention of a safety mechanism that stopped elevators from falling. 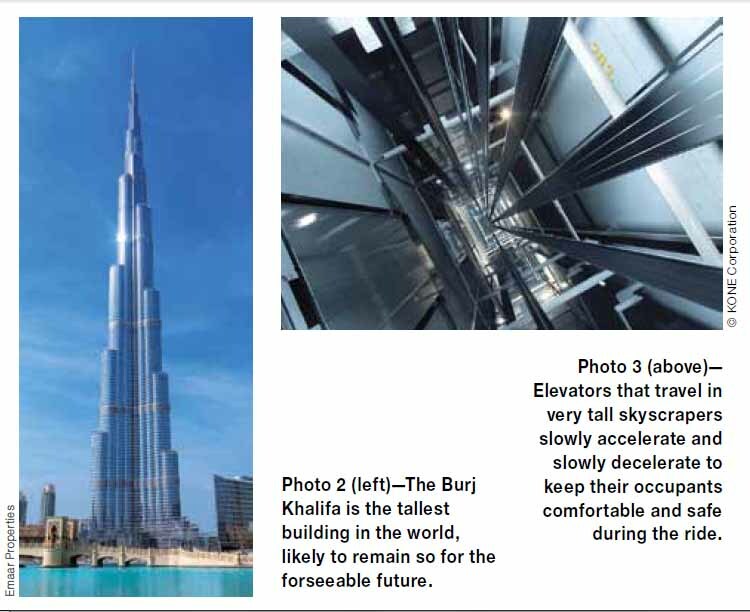 To take passengers on a half mile- high elevator ride in the Burj Khalifa skyscraper, the Otis Elevator Company had to build a lift system with a 100-ton capacity. Without a major breakthrough, elevators have reached their height limits because longer cables will break under their own weight. 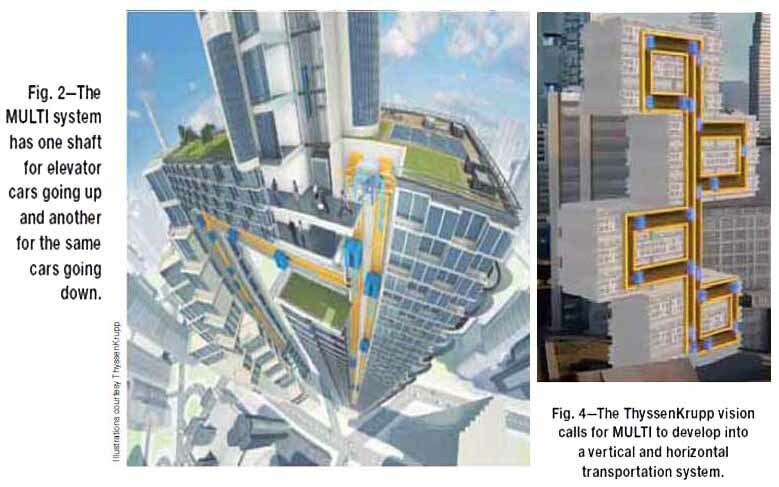 At this time, the construction industry is evaluating KONE Ultra-Rope™ which is a carbon fiber replacement for the steel elevator skyscraper cables. A new hybrid engine has just been developed that operates both as a jet engine and a rocket engine. This hybrid jet-rocket engine will provide the aerospace industry with the perfect power plant to propel a single stage spaceship from the ground directly into low earth orbit. A spaceship powered by these hybrid rocket engines could take off from an airport runway and then directly fly cargo and people into low earth orbit. 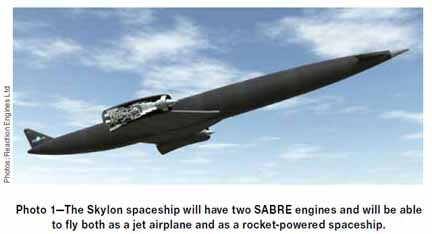 Initially SABRE powered spaceship flights would deliver cargo and people to the International Space Station. Eventually, if the technology proves to be as safe as current jet engines, these planes could carry passengers to any place in the world in just a few hours. 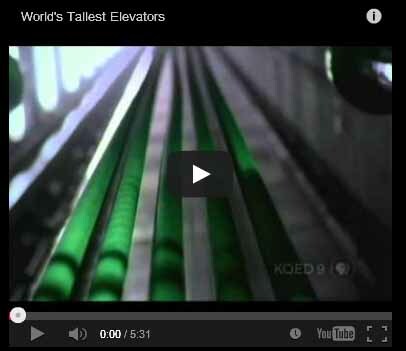 Modern elevators are pulled up and lowered down by very strong cables. To design and build a mile high building you need to eliminate the current cable system because cables that long are too heavy. ThyssenKrupp engineers decided to get rid of the cable that lifts and lowers an elevator in its shaft. To accomplish this task they adapted the magnetic levitation system that they had designed to levitate their Transrapid high speed Maglev monorail trains. They repurposed this maglev system so it could work in an elevator shaft. For the complete story click the link below. Hybrid cars are now very common. 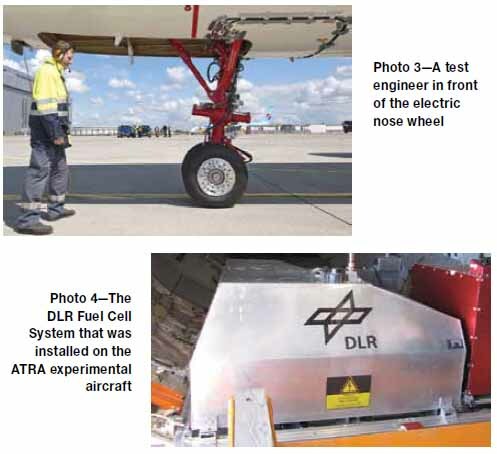 The question becomes how soon will hybrid technology be adopted for commercial airplanes? Engineers have already proven that the same benefits of hybrid car technology can be transformed so they can save fuel and maintenece costs on commercial airplanes. Before this technology can be fully adopted and find its way into the planes at your local airport they need to be fully tested. 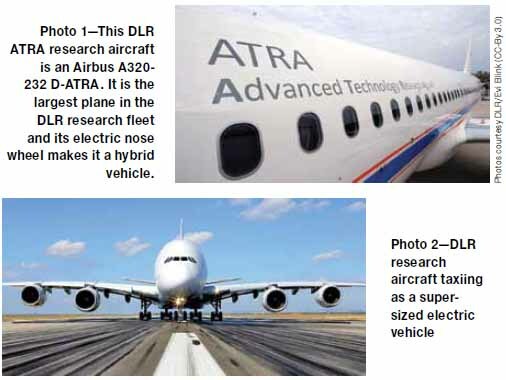 The A320 ATRA (Advanced Technology Research Aircraft), a DLR research airplane (See Photo 1) is now performing the test. The goal is to prove it is safe, efficient, and cost effective. If testing pans out and broad adoption takes place, eventually all new commercial jet planes could be categorized as hybrid vehicles. The full story is fascinating. If we were to compare an automobile to a living organism, we might consider its spark plugs the source of energy that causes the heart of the engine to beat. The exploding air-gasoline mixture in the cylinders, which drives the car, can be compared to the pumping heart muscle that provides the energy needed for movement. Just as exercise can strengthen the heart of a living organism, a laser ignition plug that can simultaneously ignite the air-gas mixture in multiple locations would greatly improve the efficiency of the engine. 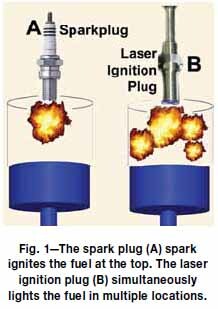 Takunori Taira and his associates at Japan’s National Institute of Natural Sciences, working with Toyota Motors, Nippon Sokem Inc., and the Denso Corporation, have successfully built a fully functional laser ignition system. 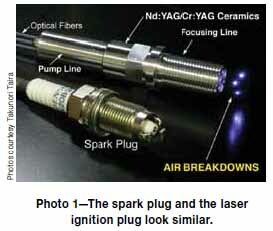 Their laser ignition plug is shown in Photo 1 and the test engine that they built is shown in Photo 2. 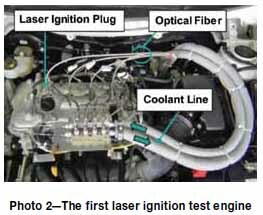 They demonstrated the world’s first gasoline engine micro laser ignition car in 2013. Fly from New York City to London England in under an hour. The speed of sound is called Mach 1 and equals 761.2 miles per hour. The fastest plane ever flown so far is the Lockheed Martin SR-71 Blackbird spy plane. It flew at Mach 3.5. The “Son of Blackbird is now under construction and it will fly at hypersonic speeds of Mach 6. This plane will have the same turbo-jet engine that powered the SR-7 and a ramjet engine to push propulsion up to Mach 6. At Mach 6 the SR-72 will cover one mile of ground per second of flight time. 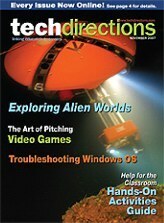 This is an amazing story of the future of flight and the full story is just one click away. Read the full story to see how they did it! 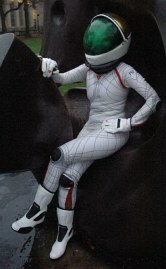 NASA’s Innovative Advances Concept Program funded research to develop a spacesuit that could deliver some form of gravity directly to the person wearing it. The idea is if you can’t bring gravity to the spaceship, perhaps you can bring the allusion of gravity to the astronaut. Sounds impossible, but collaborative efforts by engineers and technologists at Draper Laboratory Inc., MIT, and the David Clark Company have actually developed a spacesuit system that can provide an astronaut’s muscles and bones a simulated gravity. 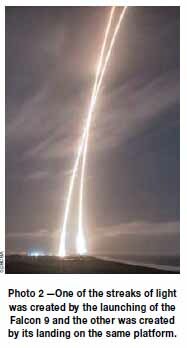 For space flight to become as common place as air travel, rocket ships need to become as reusable as airplanes. SpaceX and Blue Origin are now in a space race that is similar to the 1960’s US versus USSR (Russia) race to the moon. 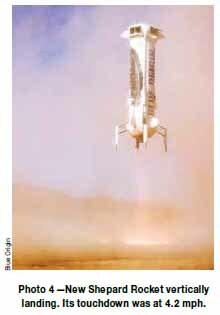 Both SpaceX and Blue Origin are developing reusable rockets that can use their engines to perform a controlled descent to a vertical landing at the same location that they originally blasted off into space. The Founders of these companies have the same goal which is to develop a rocket system that is as reliable and reusabile as an airplane. Billionaire Elon Musk is the founder of Tesla Motors and SpaceX and billionaire Jeff Bezos is the founder of Amazon.com and Blue Origin. Five years ago Elon Musk proposed a new transportation system that could move people and freight at jet airplane speeds on the ground. Imagine traveling 600 miles an hour in perfect comfort just a few inches off the ground. When I first learned of his proposal it screamed write me up as a column, but I didn’t because it sounded so futuristic I expected it couldn’t be built this century. Boy was I wrong! His hyperloop proposed transportation system has moved from concept to a number of prototype systems in just a few years. To turn his dream into a reality Elon Musk first created the type of document needed to create a patent and then left it as open source so anyone could turn it into a commercially viable system. He also provided contests to get university students involved. 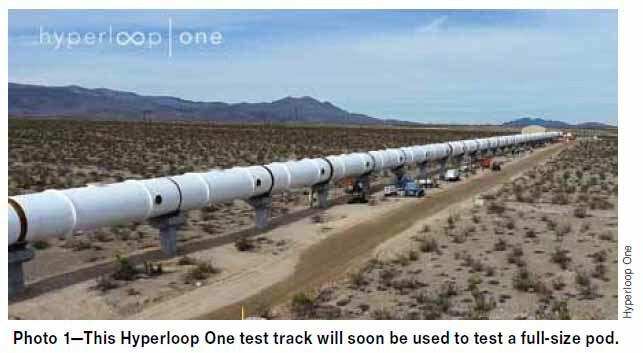 Hyperloop One, co- founded by a past SpaceX engineer, is now completing construction of a test track in Nevada that can fit a full size pod that one day could carry passengers or freight. Musk also built a SpaceX hyperloop test track in Hawthorne California for university pod vehicle competitions. 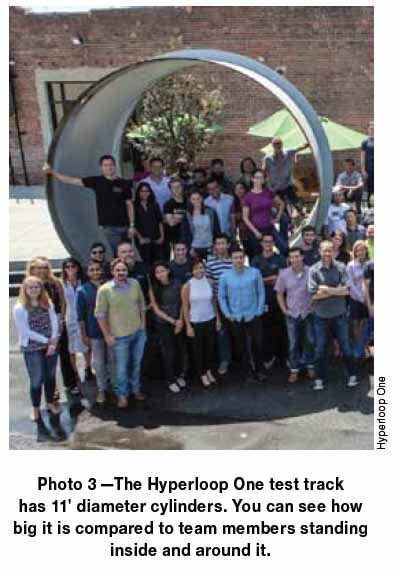 This column describes how a Hyperloop system will be able to move people in perfect comfort at 600 miles per hour on the ground. It is mind blowing technology. People won't purchase Hydrogen powered cars until they have lots of places to fill their fuel tanks. Definitely a conundrum that parallels the old phrase “which came first the chicken or the egg". Basically car manufacturers can’t put thousands of Hydrogen cars on the road before they have places to fill up their tanks and gas station owners can’t afford to spend millions in hydrogen gas pump infrastructure before they have potential customers. 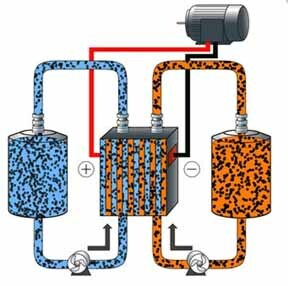 would safely generate hydrogen in people’s homes. This column provides the full story!